Take a 7-Day Presence Journey, try out the Culture Check, and notice the difference a few small shifts can make! 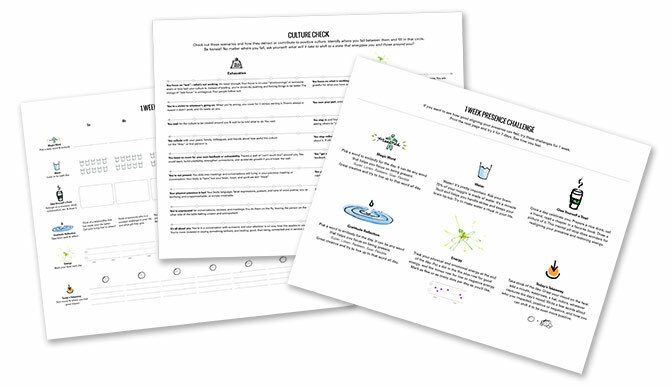 These printable tools will help you intentionally set your presence in every area of your life. Plan your body care, record your gratitude, focus on being present, track your energy and take stock of the day. You will also receive periodic tips and tools via email. We promise they are useful, and you can unsubscribe at any time.